Hip-Hop Tours in New York will show you a whole different side to the city. The artistic form of hip-hop was born in New York and has developed into a worldwide culture and musical genre. When visiting neighbourhoods such as Harlem and The Bronx, you’ll still be able to experience the influence of hip-hop. So why not take a 2- or 4-hour tour with a Grand Master, an enthusiastic hip-hop guru! Are you a big hip-hop fan? Then you should definitely go on the New York Hip-Hop Tour. During this interactive and cultural tour, the Grand Master will show you the most important hip-hop sites of New York. In four hours, you will explore Manhattan, Harlem and The Bronx on board a luxurious bus. Of course, there will be several occasions to get off the bus for a while. The bus driver will stop at numerous important sites that marked hip-hop’s history. There will also be a so-called ‘Show Your Skills’ activity on the program: a break-dance workshop. To set the mood, all participants will be handed a golden necklace and a baseball cap. Meanwhile, you’ll learn all about famous groups such as Public Enemy, Treacherous Three and the Sugarhill Gang. You’ll also discover many important hip-hop sites like the Graffiti Wall of Fame, the Apollo Theater and Rucker Park. Lunch will be at your own expense (vendors only accept cash). However, the guide will show you where you can taste real ‘soul food’. 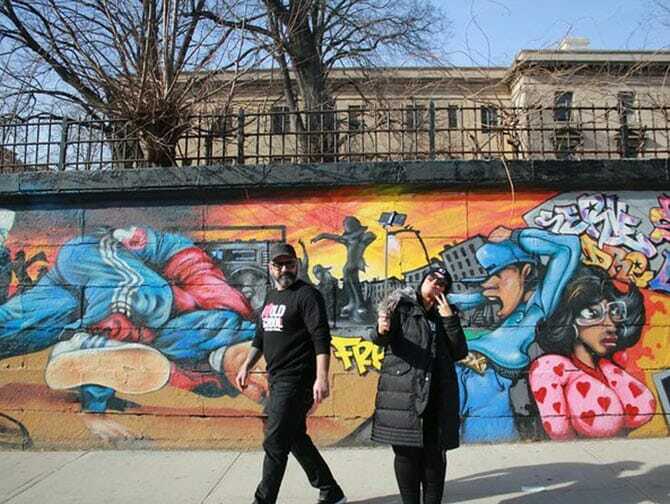 If you think a 4-hour tour is too long, then the Harlem Hip-Hop Walking Tour is a great alternative! On this 2-hour walking tour, your guide will make sure to teach you the ins and outs of hip-hop culture and its history. This is your chance to discover parts of New York you might not have visited otherwise. And this is a real fun way to explore them! One of hip hop’s pioneers will guide you through the area using his original anecdotes. A unique experience! The tour starts with a multimedia 3D screening that will explain how New York City became world’s greatest urban centre. This interesting presentation is followed by a walking tour that allows you to discover this urban centre with your own eyes. 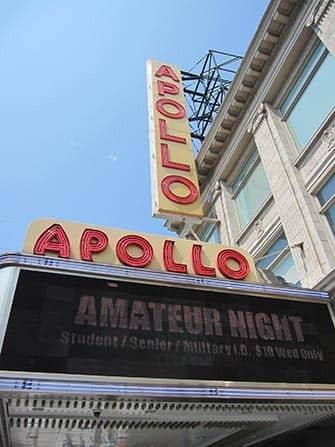 Do the sites Dip Set and Apollo Theater ring a bell? Then you should definitely go on this tour, because you will see all famous hip-hop sites! 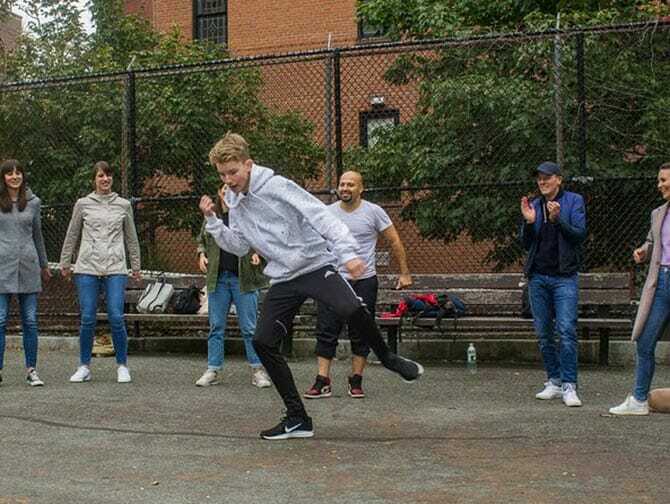 If those names don’t ring a bell, but you do fancy learning more about cultures and subcultures, then the Harlem Hip-Hop Walking Tour is definitely an interesting activity. By taking this tour, you will probably become a real (or beginning) hip-hop fan! 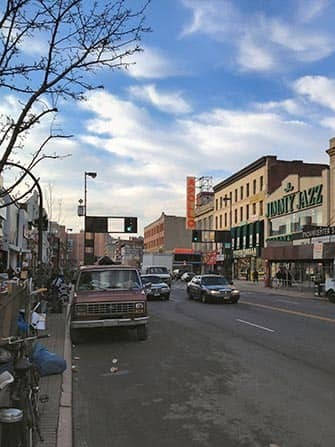 Luckily, you’ll pass by Harlem’s oldest record stores where you can purchase some records to relive the hip-hop experience at home!